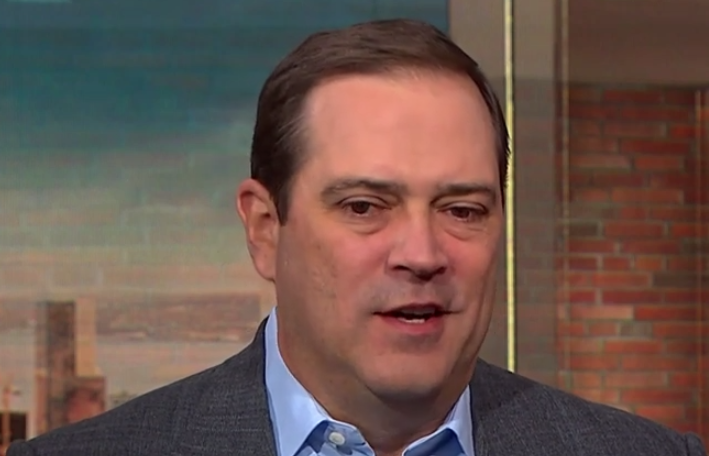 The CEO of Cisco says that last year they blocked seven trillion cybersecurity threats or about 20 billion per day. He says that by and large cybersecurity organizations inside of their customers are very good. But they only have to be right once, so it’s a constant ongoing battle. Last year we blocked seven trillion threats on behalf of our customers. That’s 20 billion a day. The problem is the adversary only has to be right once. We have to be right all the time. It’s the only part of our business where we have to think about an active adversary. That’s not how we think about other parts of our business. By and large, when you look at the cybersecurity organizations inside of our customers they’re very good. But again, they only have to be right once, so it’s just a constant ongoing battle. Our growth is primarily driven by organic growth. We are in a unique position as a company that’s been around for 34 years. Our core franchises are actually growth engines for the company. Whereas a lot of companies of our age they would be looking at their core franchises as the profit pools that you would invest in other businesses. We have done some of that but we are seeing strong growth in the core franchises that we build. This is because in order to solve the security issues you have to do it deep within the network infrastructure. We are rebuilding and rearchitecting networks for customers all around the world in order to do this. The things that we do are the digital nervous system for the economy. Companies today realize that technology is actually defining their future strategies. Technology is not an optional cost center anymore. It really is at the heart of what every entity is doing around the world. Technology is at a different place today relative to the strategic value to our customers. It’s been strategic, but it literally is at the heart of everything they are trying to drive now. What we do is create this flat world that we live in. Fundamentally the technology that we’ve built over the last 30 years has created a flat world. Now we find ourselves with lots of conflicts around the world. The geopolitical dynamics are clearly complicated for all of us. Countries are just trying to find out how to deal with this technology change that is occurring so rapidly. Frankly, it’s very difficult because governments around the world don’t have the expertise necessarily inside the government to even be able to regulate or determine what they should do. What that leads us to are very binary decisions. It’s difficult to understand how to do it surgically so I have to do it with brute force. Regarding the China trade issue, there are aspects of intellectual property. There are aspects of trade deficits. There are aspects of the view that this 5G buildout is critical to every countries future and there is this competitive race going on around the world. I this it is a bit of all of that. My hope is we can get to a place where we can all move forward in a way that lifts the global economy again and actually allows us to begin to take advantage of some of the technology. What it can do, not only for business but candidly we are at a point in time where technology can help solve some of the biggest problems in the world. That’s what we need to be focused on. Our business in China is a relatively small percentage of our business still. The impact (from tariffs) has been quite minimal. What we do is just be a part of the discussion. We try to bring some logic as to what needs to be done. We are trying to help educate governments around the world as to how should they think about regulating this technology. How should they think about data privacy? What can we do to help alleviate some of the concerns and help them achieve what they are trying to achieve while not destroying the global benefit of connectivity?